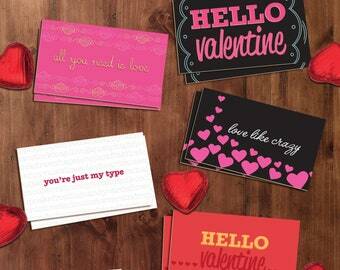 Here are some fun and colorful valentine's with a bit of glam thrown in for good measure. 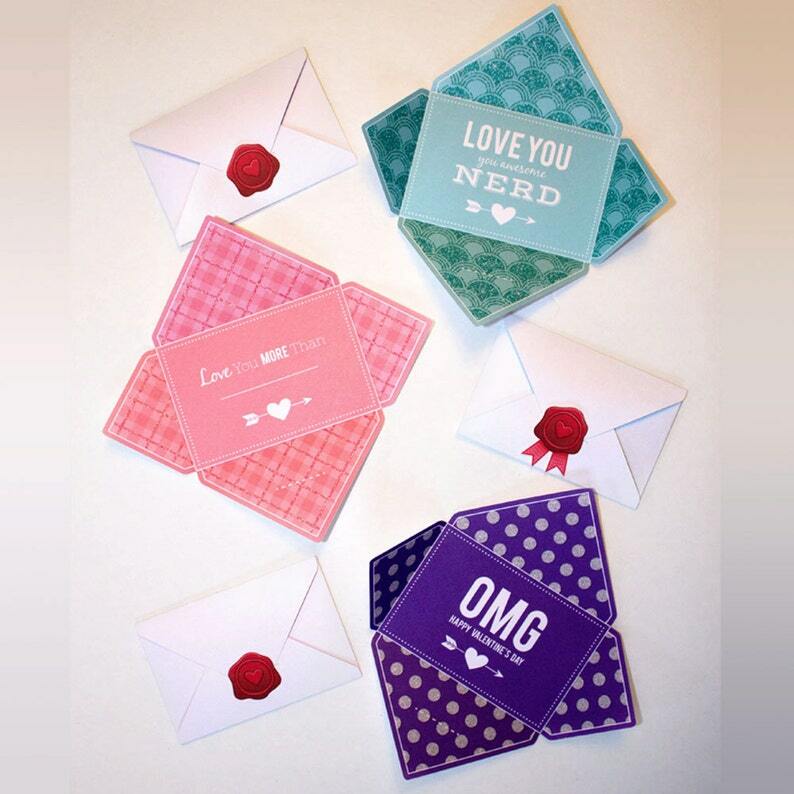 Once printed these valentine's fold up into a cute little self contained envelope roughly the size of a business card. Each design has a glittery pattern that add a nice touch of sophistication so these aren't your typically valentine's. They also come with two illustrations of a wax seal one with a ribbon and one without. You can choose to use the seals to really make your Valentine's look like a love letter, making them a little bit more special. Hello Darling, Will you be my Frientine? You will get 8.5" x 11" pdf files that can be printed on 8.5" x 11" computer paper or card stock and then trimmed down to size with scissors or craft knife and ruler. These files are for personal use only. Please do not resell or share these files. Do not use these files to create products for sale. Please do not use these files to create digital templates for resale either. You may NOT sell any derivative of these files.